For months Blairites in the Labour Party, in alliance with the Lib-Dems, using the Guardian as their central publicity machine, have been spectacularly unsuccessfully attempting to persuade the British electorate that the most important issue in British politics is not defence of the population’s living standards but Brexit. Put in political terms, the Blairites/Lib-Dems/Guardian have therefore been trying to persuade Labour Party members, and the population, that Brexit, not Jeremy Corbyn’s anti-austerity policies and leadership of the Labour Party, is the most important issue in British politics. The reason it can immediately be said with certainty that this Blairite campaign has been spectacularly unsuccessful is simply by looking at the opinion polls. The support for the political party which has been following perfectly this policy of ‘Brexit is the most important issue in British politics/down with Corbyn’ – the Lib-Dems – is usually in single digits – while simultaneously most polls show Labour ahead of the Tories. This abysmal level of Lib-Dem support, when they are following a Blairite/Guardian line, is fully in line with the collapse of support for socialist parties in Europe that have supported pro-austerity policies – as in Germany, Holland etc. Similarly, if Brexit was the most important issue in British politics then, with Brexit having received 52% of the vote and Remain 48%, the Tories, as the most pro-Brexit party, would be getting close to 52% support and the Lib Dems, who say opposing Brexit is the most important issue, would be the second most supported party in the country with poll numbers in the 30%s or 40%s. Instead the Tories are well below 52% in the polls and the Lib Dems are almost a rump. The electorate is saying emphatically Brexit is not the most important issue for them in British politics. This basic social and political reality is of course fully confirmed by other aspects of opinion polls. Polls at various times show that the electorate considers that the economy, the NHS, unemployment etc are the most important issues facing Britain. They do not show that the EU is the most important issue facing the country. This is also why, although the Tories tried to make the 2017 election overwhelmingly about Brexit they failed lamentably, and it was Labour’s manifesto and campaign, focussed on people’s social and economic concerns which was spectacularly successful. True, some parts of the Corbyn left voted for Brexit but that was a small minority, the mainstream/majority Corbyn left always supported Remain – as did this website. The real situation and choice in defending living standards, and therefore in politics, is the following. Brexit, in the present situation, would make it more difficult for a Corbyn led government to deliver its progressive policies defending living standards. For example, to take even the most direct effects of a worst-case scenario, a ‘no deal’ Brexit would mean a 10% tariff on British car exports to the EU, a consequent fall in sales, and tens of thousands of job losses in manufacturing – dealing a severe blow to the living standards of working-class people. This is why in particular hard Brexits have to be totally opposed – and are firmly opposed by Jeremy Corbyn and Labour. But despite the danger of such a setback as a hard Brexit, which must therefore be strongly fought against, a Corbyn led Labour government would be fighting against numerous other aspects of austerity. In contrast a non-Corbyn led Labour government would be implementing austerity all along the line with even more serious attacks on living standards – to see that just remember the Labour front bench’s grotesque votes in favour of Tory policies in the period immediately before Corbyn became Labour leader. 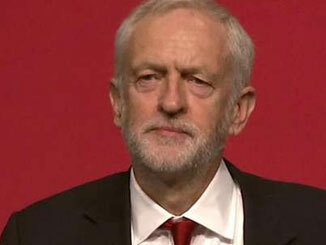 That is why, if forced to choose, a Corbyn led government, even with Brexit, would be better for defence of living standards than no Brexit with a non-Corbyn led Labour Party – one committed to ‘Euro-austerity’. Best of all, of course, would be a Corbyn led Labour government plus the defeat of Brexit/hard Brexit! The reality is that the harder a Brexit certainly the more it would damage living standards and attack Labour voters, even with Jeremy Corbyn as Labour leader – that is precisely why Labour has been leading the fight against May’s deal and no deal. But the most damaging to living standards of all is the austerity policies supported by the Blairites. Therefore, Brexit, above all hard forms of Brexit, should be fought against; but fighting austerity and supporting Corbyn’s leadership of the Labour Party is the most important issue in British politics. The electorate accurately understand this real choice in defending living standards: that a non-Corbyn led government means an all-out attack on living standards. That is why the Lib Dem/Labour right/Guardian policy of no-Brexit plus support for austerity policies has minimal support in the electorate and both polls and real elections show high support for Labour under Corbyn. This reality is dramatically confirmed not only in the electorate but among Labour members. Opinion polls and elections have consistently shown not only strong support for Jeremy Corbyn but also show that 70-80% of Labour members support Remain, compared to those who back Leave having support only in the low 20%. Polls show essentially the same 70% to 20% split among Labour voters. This confirms that – by a large margin – Labour members, the Corbyn left and Labour electors all support Remain and understand the danger of a hard Brexit. Therefore all economic and social facts show that Brexit is not the most important issue in British politics – defending living standards is. That is what is reflected in the opinion polls – which clearly show that electors equally do not regard Brexit as the most important issue in British politics. Because this false Blairite claim that Brexit is the most important issue in British politics is entirely untrue it is therefore very important it should be contested and exposed every time it is put forward. Fighting to defend living standards, that is opposing austerity, is the most important issue in British politics. In directly political terms it means maintaining and supporting Jeremy Corbyn’s leadership of the Labour Party, not Brexit, is the most important issue in British politics.